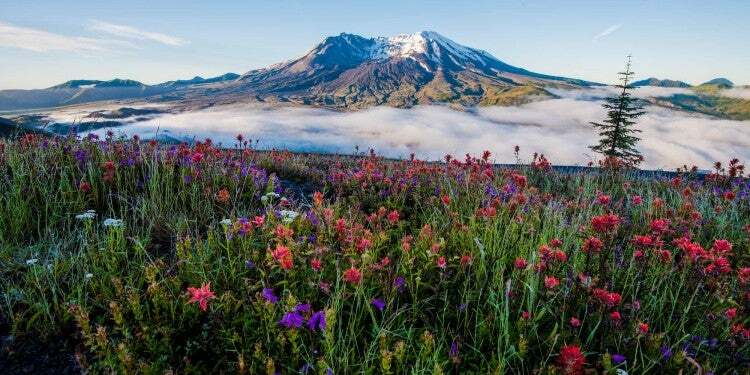 These Women’s History Month facts are brought to you by Gregory, the company behind women’s hiking backpacks that are comfortable, durable, and designed to adapt to your unique shape. It’s exciting to live in a time when women have more opportunities than ever in the great outdoors. Thanks to organizations like Outdoor Women’s Alliance, Hike Like a Woman, Black Girls Hike, Indigenous Womxn Climb, and many more, women’s visibility and accomplishments are finally getting the recognition they deserve, and more women than ever are feeling empowered to get outside. That makes it all the more poignant to remember the women who helped blaze the trail towards equality, both in the outdoor industry and in politics, on the city streets, and in women’s homes. As any Women’s History Month fact sheet will show, the story of the United States is full of smart, fierce, funny, brave women. For over 250 years, suffragists, activists, mothers, sisters, immigrants, and trailblazers have agitated not only for women’s right to vote and hold office, but also for racial equality and the rights of other groups including textile, factory and farm workers, and gay and lesbian Americans. 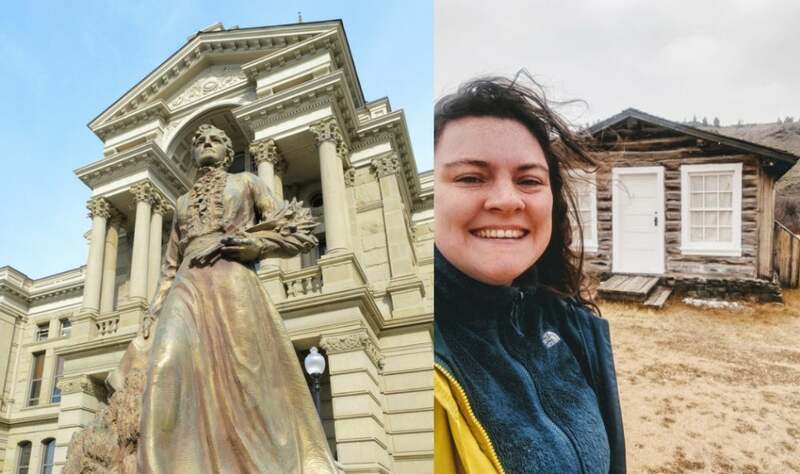 If you want to learn more Women’s History Month facts this year, we’ve made a list of destinations where you can not only pay homage to some of the great female leaders who have transformed our country, but where you can also camp nearby. After all, the only thing better than walking in the footsteps of great women like Harriet Tubman, Alice Paul, and Dolores Huerta is to follow it up with a little time spent with mother nature. No list of Women’s History Month facts would be complete with out quaker agitator Susan B. Anthony. She first became involved in women’s suffrage after meeting fellow feminist Elizabeth Cady Stanton in 1851. Throughout the next twenty years, Anthony and Stanton worked together on the cause, founding the Women’s Loyal National League together, as well as the National American Woman Suffrage Association. Anthony cemented herself as a face of the movement in 1872 by getting arrested for voting in her native Rochester, New York. The ensuing trial brought the suffrage movement even more publicity. Although Anthony initially became involved in activism as an abolitionist, modern critics have noted her later remarks that prioritized white women’s right to vote over that of women of color. Despite the contemporary controversy, she’s remained an enduring figurehead of women’s history. After the 2016 Presidential election, hundreds of women placed their “I Voted” stickers on Anthony’s grave in Rochester and left mementos at her house on Madison Street. “Nice place to camp on the way to Niagara Falls or a quick escape from the WNY cities. The park itself is pretty small (swimming & picnic), lots to do nearby though (wineries, Shakespeare Festival, Jell-o Museum). 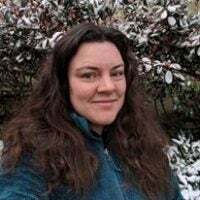 Mixed shade & sun, modern clean facilities.” —The Dyrt camper Justin S.
Unless you went to elementary school in Wyoming, Esther Morris was probably not one of the leaders included in your list of Women’s History Month facts. Nevertheless, she’s one of the most important figures in U.S. women’s history as the first female justice of the peace. Morris was appointed to the position in the tiny mining town of South Pass City, where she moved with her sons and husband from the east in 1869. The reason the position was available in the first place was because Wyoming territory had passed a bill giving women the vote, and the previous justice of the peace had quit his position in protest. After taking office, Morris appointed her sons to clerical positions in the city government. She also had her abusive husband arrested and jailed after his violent objections to her new job. You can still visit her tiny log home in South Pass City and camp nearby at the Wild Iris OK Corral — a rock climber’s paradise. 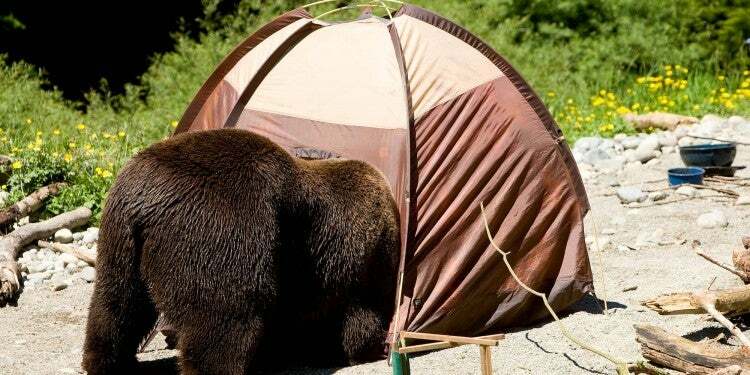 “There story is, there was a black bear who broke into someone’s camper and ate their waffles. So there is a bear named Waffles in the area! 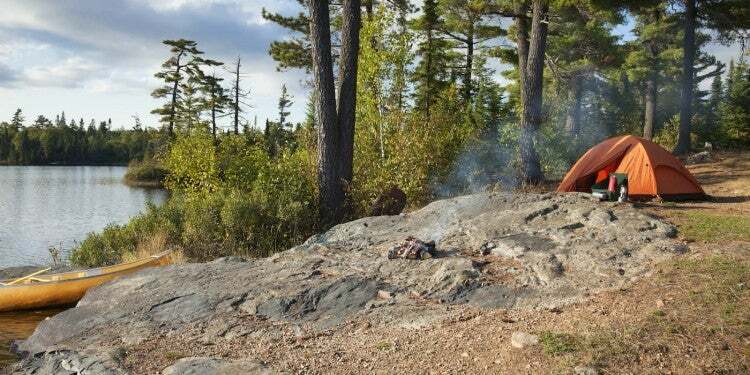 There is established rock fire rings. Pit toilets at the parking area for The Main Wall area. Tons of trees and more climbing than one can do in a lifetime! And it is FREE!” —The Dyrt Camper Carrie C.
Though her term as justice of the peace in South Pass City lasted less than a year, Morris remained active in the suffrage movement. She attended several national conventions and became a member of the National American Woman Suffrage Association after it was founded in 1890. Later in her life, Morris settled in Cheyenne, Wyoming in a modest brick home. You can still visit that home today and enjoy a delicious meal. The property has been turned into a sister dining spot to the popular downtown pizzeria Bella Fuoco across the street. Now called Esther’s at The Morris House, the restaurant serves up Italian dishes and good wine. You can camp just a ten minute drive away at the Cheyenne KOA. It’s also convenient to exciting outdoor attractions like the archery range at Curt Gowdy State Park and the excellent hiking and mountain biking in Medicine Bow National Forest. The causes of suffrage and abolition were deeply intertwined from the start, as women and people of color fought for equal rights throughout the 19th century. In 1851, a freed slave named Sojourner Truth shook the Women’s Rights Convention in Akron, Ohio. She asserted her personhood as a black woman with an off-the-cuff speech, now known by its refrain, “A’int I a Woman,” using the oratorical skills she’d honed as a wandering preacher after emancipating herself in 1827. 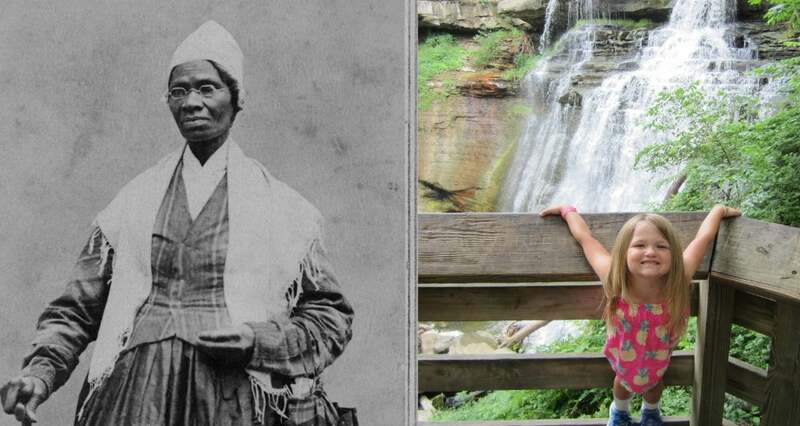 You can camp near where Sojourner Truth delivered her powerful message at Cuyahoga Valley National Park. The area was likely once part of the network of secret routes and safe houses known as the Underground Railroad, used by men, women, and children as they escaped slavery. Cuyahoga’s canals and proximity to Lake Eerie made it an appealing path towards Canada. Today, Cuyahoga is beloved for its proximity to Cleveland, hiking trails, waterfalls, and biking opportunities along the Erie Canal’s old tow paths. Despite the popularity of the park, the camping options are primitive and limited, providing a combination of convenience and solitude that’s hard to find. This tiny town less than an hour outside Washington DC might seem like an unlikely place to change the course of the suffrage movement. But here’s a fun Women’s History month fact for you: in 1917, Occoquan was the site of a women’s workhouse that played a big part in the passing of the nineteenth amendment. It was here that suffragette Alice Paul staged a hunger strike that forced President Woodrow Wilson to reverse his position on women’s right to vote. For months prior to her arrest and incarceration at Occoquan, Paul and hundreds of so-called “Silent Sentinels” had stood in front of the White House with banners bearing quotes from President Woodrow Wilson’s own speeches. They used his words denouncing the Kaiser during World War I and in support of the German people to highlight the inequality faced by American women at home. The approach was a success not only in calling attention to the suffragist cause, but also in embarrassing the President, who ordered the Silent Sentinels arrested. When they refused to plead guilty, Paul and her fellow protestors were sent to Occoquan. That’s where Paul staged a seven-month hunger strike, creating even more bad press for President Wilson. Despite threats to have her committed to an insane asylum for her “hysterical” protest, Paul prevailed. A year after her arrival at Occoquan, President Wilson announced his support of women’s suffrage. Two years later the nineteenth amendment was finally passed by a narrow vote. You can camp near Occoquan at Virginia Burke Lake Park, a pretty area convenient to Washington DC. There are about 40 primitive sites available off two trail loops, with a bathhouse that includes water, restrooms and showers. There is a gravel trail around the lake that you can walk, hike, or bike, as well as a boat launch. “Campgrounds are nice, located in the woods along the lake and have access to decent bathrooms. Recommend for a quick weekend away and for kids!” —The Dyrt Camper Sarah M.
Right: Photo from The Dyrt camper Sue T.
Like Cuyahoga National Park in Ohio, the Finger Lakes area of New York was full of stops on the Underground Railroad. One of those was in Auburn, New York, a town that saw upwards of 500 escaped slaves pass through before the Civil War even started. The home of abolitionist New York Senator William Seaward was one of the best-known safehouses in Auburn. In 1858 Seaward offered to sell the home to Harriet Tubman, who was by then one of the most famous “conductors” on the Underground Railroad after helping upwards of 70 people make their way north to freedom. After the Civil War, Tubman threw herself into the suffrage movement. In fact, Women’s History Month celebrates Tubman’s work to advance the rights of both women and people of color along side contemporaries like Lucretia Coffin Mott, Martha Coffin Wright, and Susan B. Anthony. Towards the end of her life, she turned the home she purchased from Senator Seaward into a home for the elderly, and donated the property to the AME Zion Church to continue that mission after her death. 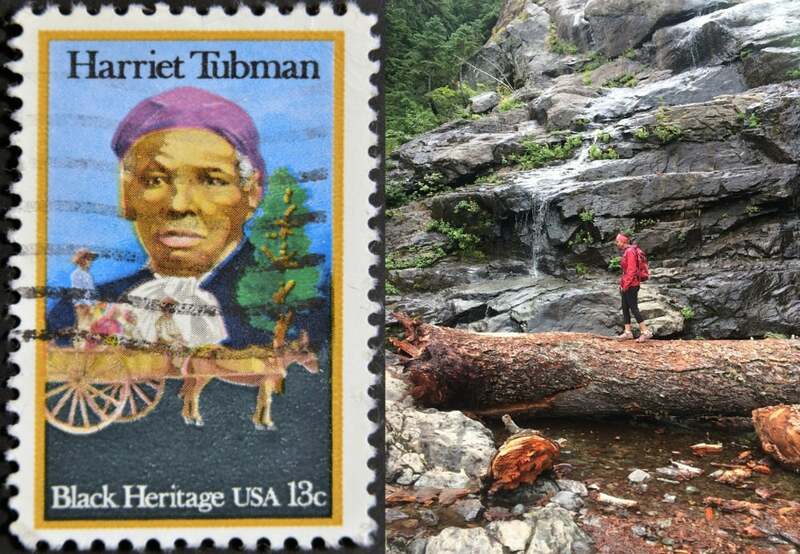 You can camp near Tubman’s beloved home at Hejamada Campground and RV Park. In addition to tent sites and RV sites, there are also special amenities for first-time campers. Hejamada offers self-contained trailer rentals with everything you need to try RV life— all you need to pack is food, clothing, and bedding. They also have plenty of gathering places on site where you can connect with other travelers. “They have a lot of space and different types of sites. 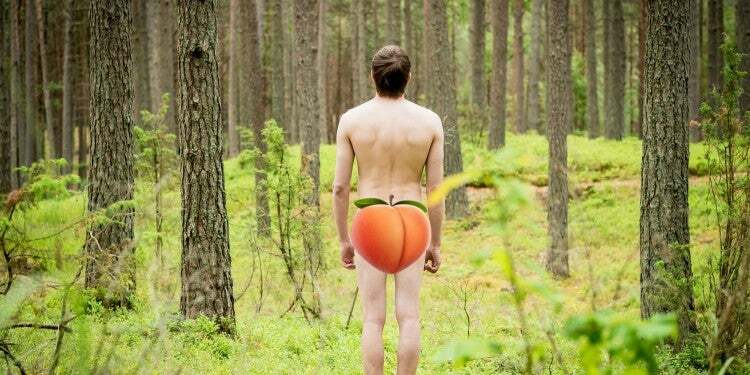 You get to enjoy nature. They have a pub onsite. The bathrooms were older, but clean. 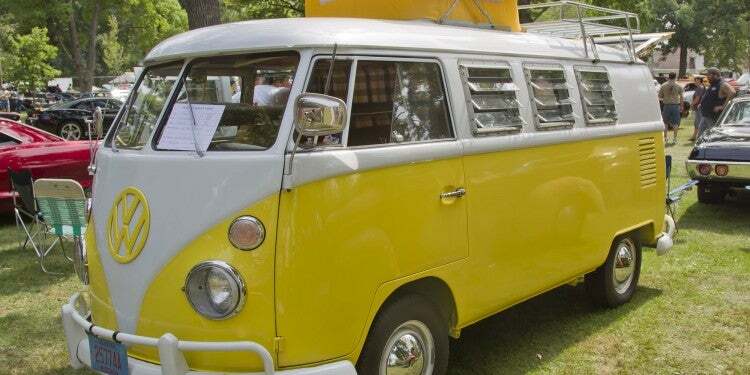 The large circle offered a lot of space for kids & dogs to play.” —The Dyrt camper Amy T.
Just as the causes of suffrage and abolition were deeply connected in the 19th century, women’s rights became intertwined with the gay rights movement in the 20th century. The Stonewall Riots in Greenwich Village in 1969 are often cited as the catalyst of the LGBTQ equality movement, and it was two women of color— Sylvia Rivera and Marsha P. Johnson— who were at the heart of that historic protest. The riot began following a police raid on the Stonewall Inn, a known queer dive bar on Christopher Street, then the heart of gay New York. Discrimination against New York’s gay community had reached a tipping point, and the regulars at Stonewall were tired of increasing harassment from law enforcement. Following yet another sting, complete with undercover officers and the arrest of patrons, Rivera and Johnson fought back along with other bar-goers. What began as a small scuffle around the paddywagon outside the bar became something much larger. Soon thousands of protestors and allies took to the streets of the Village, and the riot lasted for days. By the time the dust settled, Stonewall had become a symbol of queer solidarity and a source of visibility and pride for the community. In fact, many cite the Stonewall Riots as the first Gay Pride gathering in the U.S. Forty seven years later, president Barack Obama declared the Stonewall Inn to be a National Monument, honoring its role in U.S. history. There’s all sorts of Women’s History Month facts and queer history to uncover in New York City, of course, and no shortage of places to stay, either. But if you want to combine camping with your walk through the past, you can head to another one of the iconic locations with strong ties to Big Apple’s queer community — Fire Island. While people of all backgrounds have enjoyed escaping the summer heat on Fire Island for over a century, some of the villages there earned a reputation as LGBTQ retreats. That shift started in the 1920s, when Fire Island became a gathering place for members of New York’s theater scene. From then on, the communities of Fire Island Pines and Cherry Grove were cemented as places where gay and lesbian vacationers could be themselves. Fire Island is also home to a designated National Seashore that outdoor enthusiasts will love, especially with the beachfront campsites at Watch Hill. “Less than a half-mile walk from the ferry dock and located behind the dunes which offer some protection. Take a quick walk down to the beach. Two-night minimum on weekends, and no fires. You can bring charcoal to cook on the grills provided or camp stoves, though.” —The Dyrt camper Jill F.
One of the best-known facts of Women’s History Month is how over two late July days in 1848, early feminists, abolitionists, politicians, and thinkers gathered from all over the country to attend the Seneca Falls Convention on women’s rights. 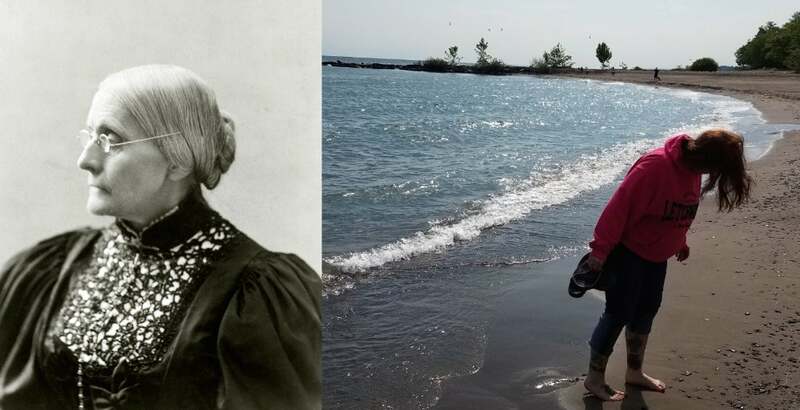 Now recognized as a watershed moment in American history, the Convention was organized by area Quakers and nationally recognized advocates for women’s right to vote, including Elizabeth Cady Stanton and Lucretia Mott. The convention’s stirring speeches and national publicity effectively jump started the American suffrage movement in earnest. It lead to the formation of the League of Women Voters and the National American Woman Suffrage Association, and a direct line can be drawn between Seneca Falls and the passing of the 19th amendment over 70 years later. You can learn more about the impact Seneca Falls had on U.S. history at the nearby Women’s Rights National Historical Park. You can camp near this historic location in New York’s beautiful Finger Lakes region at Cayuga Lake State Park, where you can enjoy biking, kayaking, swimming, hiking, fishing and camping near wineries. Pop into nearby Ithaca for chill college town vibes and restaurants. “Nice State Park campground, clean & good facilities. 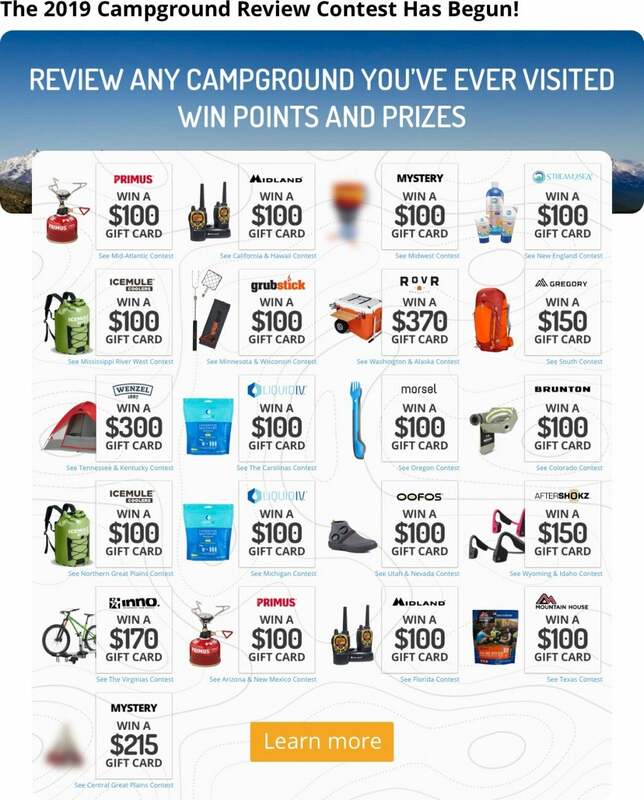 Mostly tent/camper camping, also cabins (I’ve only tent camped). Nice large sites and while not super private it is serene.” —The Dyrt camper Amber A. Originally from Mississippi, Ida B. Wells moved to Chicago in 1892 when a local mob burned her printing press in Memphis. She’d attracted attention for publishing exposes on lynchings throughout the southeast— and there were many who would prefer she stayed silent. It was in the Second City that Wells was able to take her work in civil rights and suffrage to a national and international level. Wells went on to become one of the founders of National Association of Colored Women’s Club and was involved in the founding of the NAACP. She also turned her uncompromising, critical eye to prejudices within the women’s movement. 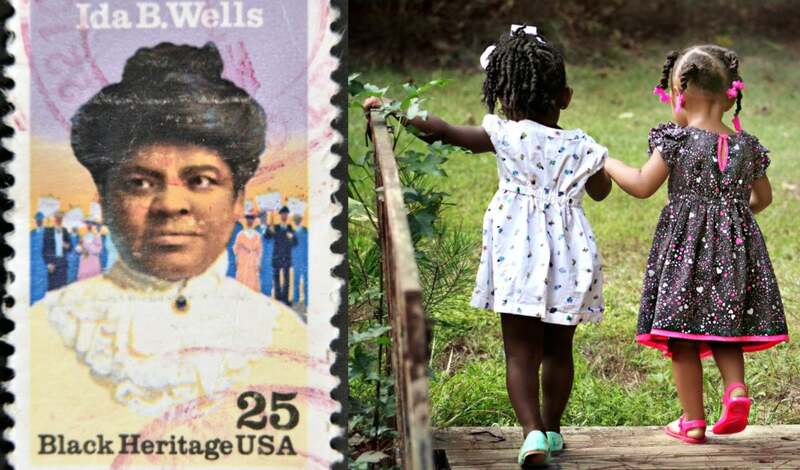 Wells went toe to toe with fellow suffragist leaders, taking them to task for excluding women of color or expecting them to wait their turn for the vote. From 1919 until 1929, Wells and her husband lived in a beautiful stone house in the Barnett neighborhood of Chicago. That’s not the only place in Chicago where you can learn more Women’s History Month facts or see a piece of Ida B. Wells’ legacy, however. Shortly after her death in the 1930s, a housing project was built and named for Wells— a building that is still standing today. In 2018, Chicago decided to rename Congress Parkway to Ida B. Wells Drive. Just a 30-minute drive from the Ida B. Wells house is Bullfrog Lake at Waterfall Glen Forest Preserve, home to a whopping 740 native plant species. You can go hiking, orienteering, or fishing, and there’s also a model aircraft area for fans of miniature planes. Elizabeth Wanamaker Peratrovich (her Tlingit name was Kaaxgal-aat) was a Native American woman born in Petersburg, Alaska in 1911. She spent time in Bellingham, Washington as a young woman, first to attend school and later to begin her marriage to Roy Peratrovich. The pair returned to Alaska after starting a family, but quickly encountered harsh discrimination against Native Americans in Juneau and throughout the state. It was then that the Peratrovichs threw themselves into overturning the north country’s version of Jim Crow. Peratrovich was a committed member of The Alaska Native Sisterhood, an organization founded one year after her birth. The ANS was one of the few organizations at the time fighting for Native rights, and over time Peratrovich became the grand president of the group. It was through the ANS that Peratrovich lobbied for the passage of the Anti-Discrimination Act, even after it was initially defeated in 1943. You can see Tlingit country yourself at the Auk Village Campground, 15 miles Northwest of Juneau on Glacier Highway. It’s a lovely mix of stunning coastal Alaskan scenery and wildlife tucked away at private campsites, while also boasting easy access to nearby bars, restaurants, and local hangouts. “If you have a fishing license you can fish off the beach, great for swimming as well because it is a protected cove. Great historical site, an ancient village with historical marker as well as a beautiful totem nearby that tells an interesting story. Nearby in Auk Harbor is a milkshake to die for.” —The Dyrt camper Eric M.
Dolores Huerta is sometimes overshadowed in the history books by her United Farm Workers Association co-founder Cesar Chavez, but she played a major role in both the labor movement and the Chicano civil rights movements. Huerta is the one who gave the UFW its slogan ¡Sí, Se Puede!, as well as lead boycotts and advocated for fruit pickers and other agricultural workers, serving the UFW from 1962 until 1999. Like Ida B. Wells, Huerta had an early career as a school teacher, and like Wells she was also discouraged by the discrimination and poverty her students faced. Huerta decided to address the conditions that were limiting these children’s’ opportunities, and got involved in voter registration and labor organization efforts. That community engagement introduced her to Chavez, with whom she built the UFW. Huerta’s work not only impacted agricultural workers, but also intersected with women’s rights, and environmental justice. Her later career has also been dedicated to helping more chicano and latinx women get elected into legislative offices, and she has spoken out about how women, minorities, and the LGBT community can work together to affect change. In 2015, she joined the board of the Feminist Majority Foundation, and continues her work on behalf of women and Latino-Americans to this day. Though she doesn’t have as many streets named after her as her collaborator Chavez, Huerta’s lifetime of work hasn’t gone uncelebrated or unsung. In fact, Women’s History Month was not only upheld by President Obama during his time in office, he also acknowledged Huerta’s place in the story of American women’s fight for equality. In 2012, he presented Huerta with the Presidential Medal of Freedom, the highest civilian award in the country. At Kern River Campground, you can experience the beautiful California countryside that has been farmed by so many migrant workers— from those in the 1930s chronicled by John Steinbeck in The Grapes of Wrath to the Chicano laborers organized by Chavez and Huerta in the 1960s and 70s. It’s just 30 minutes from the Cesar Chavez National Monument, located at the old UFW headquarters near Bakersfield. What Kern River lacks in amenities it makes up for in a fun, community vibe and excellent whitewater rafting. “The campsites are VERY close together, so hopefully, you don’t mind making friends with your neighbors. This campsite, in particular, is nice because it’s super convenient to local restaurants, shops, and even a brew pub — it’s walking distance. 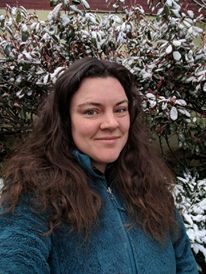 I also love the camp host who is super friendly and welcoming.” —The Dyrt camper Chanel C.
If you enjoyed these Women’s History Month facts, you might also enjoy reading more about women and the outdoors. 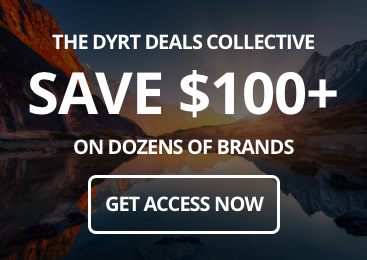 Here’s a few links to additional content in The Dyrt Magazine highlighting the fierce, innovating work women are doing coast to coast in all walks of life.